Tom Davenport is an engaging and thought-provoking speaker who has delivered keynotes and event speeches for leading companies around the world. Tom travels the world to provoke, stimulate and equip audiences with the cutting edge ideas, strategies and best practices proffered in his books. A seminal force in transforming business practices, he engenders change leadership through his ability to make even the most complex and sophisticated concepts accessible and applicable. His speaking topics cover a wide range of current – and future – topics critical to the mission of any successful business, although in recent years he has primarily spoken on analytics and decision-making. Automation and Augmentation of Knowledge Work Job? There have been four different approaches for applying analytics to business over the last half century. Some organizations still practice Analytics 1.0 (the artisanal era), while others are actively pursuing Analytics 4.0 (the cognitive era). Each era requires different management of both analytics and the underlying data. In this presentation Tom Davenport will describe the attributes of each era, the drivers of change, and the valuable lessons that each era provides. He will provide examples of 3.0 and 4.0 organizations (in healthcare and other industries) and the business, technology, and human issues with which they are wrestling. Cognitive technologies (AKA artificial intelligence) offer the possibility of new and potentially disruptive opportunities to many businesses today. A growing number of firms are already achieving significant benefits, and are building ongoing capabilities to develop and use these technologies. In this presentation Tom Davenport will describe the constellation of cognitive technologies and some of the most prominent enterprise use cases for each. He contrasts “moon shot” projects with “low hanging fruit” uses of AI that are much likely to be successful. He’ll also discuss the strategies and steps companies can take to incorporate cognitive capabilities into their businesses. Examples of successful early adopters will make tangible the potential of this important new factor in competitive success. Cognitive technologies offer the possibility of new and potentially disruptive opportunities to many businesses today, and the financial services industry is among the most aggressive users. A growing number of banking and insurance firms are building ongoing capabilities to develop and use these technologies. In this presentation Tom Davenport will describe the constellation of cognitive technologies and some of the most prominent financial use cases for each. He’ll also discuss the steps financial services firms can take to incorporate cognitive capabilities into their business processes and strategies. Examples of early adopters in the banking and insurance industries will make tangible the potential of this important new factor in competitive success. Many economists have all but ceded many middle and lower-skill jobs to automation, but high-end knowledge workers have always been deemed safe from automation-driven job loss. The rise of analytics and other decision-oriented technologies, however, is beginning to put those roles at risk as well. In this presentation Tom Davenport will describe which types of jobs are most at risk, and over what timeframe potential disruptions in knowledge work might take place. Most importantly, he will argue that there are ways that knowledge workers can make it likely that their work is augmented by technology rather than fully automated by it. 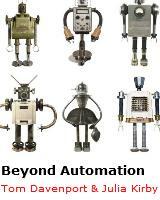 Read his Harvard Business Review article, Beyond Automation. The concept of “big data” was originally established in startup and online firms in Silicon Valley, but it is now being widely adopted by large organizations in more traditional industries. In this session, Tom describes the concept of big data and what large firms are attempting to accomplish with it. Big data coexists with previous approaches to data management and analytics in large firms, and Tom describes their integration using the “Analytics 3.0” framework he has developed. This framework portends an entirely new era for how to conduct analytics in organizations, and promises considerable improvements in speed and impact. Quantitative analytical thinking is key to successful individual and organizational decision-making. Yet many managers lack the necessary orientation to quantitative matters. 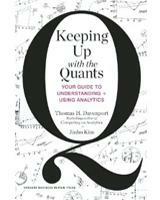 In this presentation, Tom adapts the ideas in his book Keeping Up with the Quants to acquaint managers with a straightforward process for quantitative thinking. He describes the steps in the process that are most critical for managers to address, and those they can safely leave to the quants. He also describes the most effective ways for quants and decision-makers to work together, and the expectations each should have. Throughout the session, he presents examples of good and bad quantitative thinking and decision-making. Although many companies and observers are excited about the possibility of competitive advantage from analytics on “big data,” they may not understand fully the differences between big and small data analytics. In this session, Tom describes the concept of big data and what organizations are attempting to accomplish with it, and the role of the data scientist in extracting value from big data. He presents examples of several leading companies, from startup to established, that are aggressively pursuing big data. Throughout the session, Tom sheds light on the implications of big data and how it enables organizations to manage and bring products and services to market. 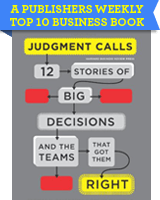 He draws upon interviews with more than fifty companies about how they have actually improved particular decision processes. The global financial services industry has endured an unprecedented period of poor decision-making that has threatened its very survival. In the new economic and regulatory environment, financial institutions need to ensure that they make decisions with high value and low risk. In this presentation, Tom describes an approach to decision-making that maximizes both the power of analytics as well as the ability of human intuition to know that the game has changed. Any organization and manager can benefit from systematic examination of decision-making and analytics provides a powerful tool. This session addresses how any organization can improve its analytical capabilities to enable better decision making processes. 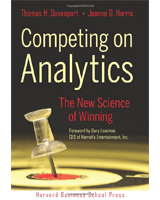 Tom demonstrates how some of the world’s leading companies use analytics to make better decisions as well as build competitive advantage. He presents a process for systematically improving decisions and translating them into action and better business results. Participants will also be able to address particular issues and topics that relate to their own organizations. Companies have long used business intelligence for specific applications, but these initiatives were too narrow to affect corporate performance. Now, leading firms are basing their competitive strategies on the sophisticated analysis of business data. Instead of a single application, they are building broad capabilities for enterprise-level business analytics and intelligence. These strategies are driven by senior executives who insist on fact-based decisions. In this talk, Tom describes his recent research on firms that compete on the basis of their analytical prowess and provides guidelines for adopting similar approaches. How Do Managers Want Their Information Served? The health care industry—including providers, payers, and life sciences companies—is poised on the edge of an analytical revolution. In this session, Tom describes how we got here, and the reasons why analytics form a critical opportunity for health care. He’ll present a model for how organizations can build their analytical capabilities, and where health care organizations are today in this regard. He will then address the critical topic of deploying analytical capabilities to improve daily care decisions within provider organizations. As always, Tom draws upon myriad examples of leading practices in health care analytics and the organizations that have adopted them. 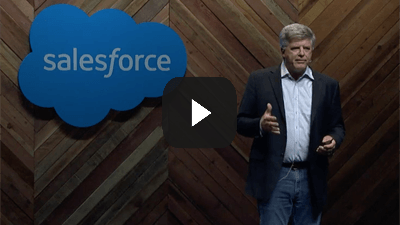 In this presentation, Tom describes what it takes to create analytics-driven business change. Hint: it’s not about the math. He’ll address the key attributes and requirements of quantitative analysts, analytics group leaders, analytical decision-makers, and analytical organizational cultures. He will also profile people and organizations that have made this transition, and how they went about it. Anyone who is currently doing or planning to do analytical work—or any businessperson who would like to benefit from the efforts of analytical people—will benefit from this talk. 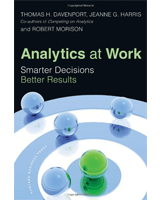 ICFOs and other senior executives need to set the tone for analytical decision-making within their organizations. Their example and their leadership are the key drivers of a company’s analytical culture and capability. In this presentation, Tom describes what it means to be an analytical leader using leading examples of successful CFOs and other senior executives. He also makes the case that it’s not just senior executives who drive their organizations in a more analytical direction; effective analytical leaders are needed at every level. In essence, he explores the mix of art and science used by even the most analytical leaders in making effective decisions. How fast and flexible do managers want their information? And what kind of information is needed with the greatest speed? Based on interviews with senior executives and a survey of over 300 senior executives at large US companies, Tom describes contemporary needs and wants for information delivery. He discusses the types of information needed most quickly and flexibly, and how leading organizations are addressing these needs. Among the surprising findings: managers don’t necessarily want information to come faster. Analytics, previously confined to operational decisions in areas such as marketing and supply chain, are moving into the executive suite. Specifically, performance management is rapidly moving beyond scorecards to include the quantitative relationships among performance factors. Smart executives are relating key nonfinancial performance metrics, such as customer loyalty and sustainability, to financial performance. In this presentation Tom describes the shift toward analytical performance management and presents examples of organizations that have already prospered by using this approach. He also raises the question of why analytical performance management isn’t more common in a world in which every firm needs to know what’s driving its financial performance. 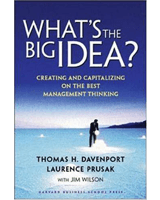 This presentation, based on Tom’s book by the same name, describes an approach to business and management ideas that can revitalize organizations. Tom, who himself has helped to create several important ideas including reengineering and knowledge management, describes why the adoption of new ideas matters to organizations. He emphasizes the critical role of the “idea practitioner,” to select the appropriate ideas for his or her organization, modify them to fit, and shepherd them through implementation. Tom’s reinforces the message that there are no faddish ideas, only faddish approaches to implementing ideas. Peter Drucker has argued often that improving knowledge worker productivity is the most important task of the century. Yet we have few measures or management interventions to make such improvement possible. Most organizations simply hire smart people, and leave them alone. 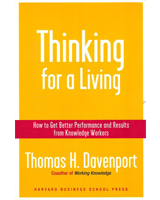 In this talk, Tom Davenport presents six interventions for improving knowledge worker productivity, each with a set of approaches, examples, and cautions. The interventions combine roles for technology, organizational culture and behavior, as well as the physical work environment, as tools for enhancing performance. His recommendations are based on several research studies that demonstrate how companies have addressed knowledge work, both successfully and unsuccessfully. The scarcest resource in business today is not information or knowledge, but human attention. 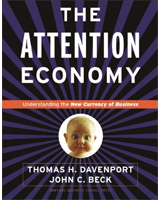 In this presentation, Tom describes the key elements of attention management in business as laid out in his book The Attention Economy. He addresses such issues as the measurement of attention, the lessons we can learn from “attention industries,” and the role of technology in managing attention. Some of the contexts into which attention management can be applied include strategy, globalization, and leadership. He also emphasizes the attentional implications of information and knowledge management within organizations. Tom delivers talks that meet your attendees’ needs and keep them engaged. If you would like to invite Tom to speak at your next event, please get in touch.